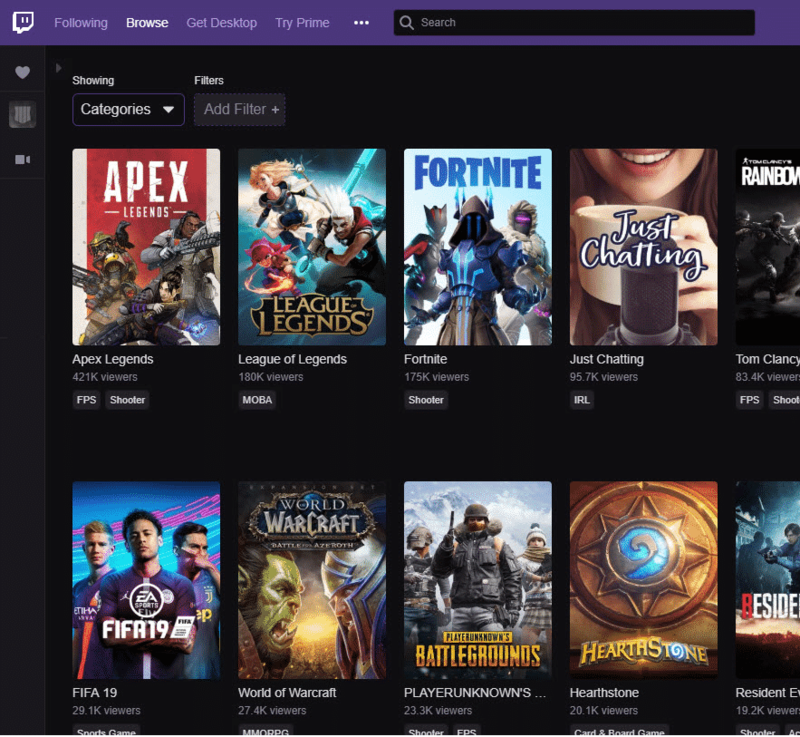 Respawn Entertainment created a new Battle Royale game that has already broke a record for most downloads in 72 hours, and is currently the most popular game on Twitch. Respawn Entertainment did this by taking an existing product and making it better. It’s not as easy as it sounds, which is why we point out the improvements. Apex Legends became the most popular Battle Royale game, beating Fortnite, PUBG, Call of Duty’s Blackout and CS:GO’s Danger Zone on Twitch. With more than double the viewers as Fortnite, it’s safe to say Apex Legends is the new King of the hill. CEO of Respawn Entertainment, the studio behind Apex Legends announced a few days back that the game has reached over 10 million players in just 72 hours. It took Fortnite two whole weeks to get to that number, which by any means is still very impressive. So how did Apex Legends make it onto the map so quickly? Firstly, Respawn invited some of the most popular Twitch Streamers with the biggest followings to their headquarters to test out the new Battle Royale game. It definitely helped getting Apex Legends on the map. But more importantly, Respawn took what was working and added more features to make the Battle Royale scene more exciting. 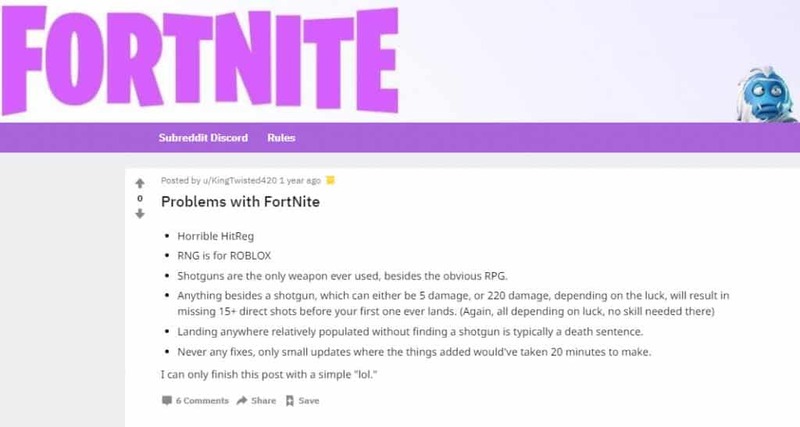 They also took notes of what gamers didn’t like in titles such as Fortnite, PUBG and Blackout. Facebook creating a better social platform than Myspace (MySpace did the to Friendster). World of Warcraft entering the MMORPG space and ousting Everquest. These are hundreds of examples like this, and it’s the most logical and cost-effective approach. Let’s take a look at what Respawn did with Apex Legends to make it better. Here are some key points that Apex Legends does better than Fortnite and Blackout. Respawn Entertainment built the game with the players in mind. What would they be able to add or change in the Battle Royale space to keep gamers excited, keep them longer on the field, and add more teamwork in-game? Everything about Apex Legends fosters around team play. From the beginning with the Jumpmaster, right down to controlling the last zone, team play is essential. Many of the top Fortnite pros could easily handle playing solo, beating up on duos and even weaker squads. The same can’t be said about Apex Legends. A solo player stands no chance of winning a match from start to finish without at least one squad member to communicate with. The amazing contextual ping system helps you call out anything in the game. A teammate can tag an enemy halfway across the map, and players can ping equipment at any distance. Furthermore, there is a compass system for players who prefer to communicate via coordinates, which is taken out of the Call of duty Blackout textbook. Respawn was also nice enough to add generic voice lines in the game that fire off without player initiation. Teammates call out automatically when being shot at, warn of enemy locations and reminders for ring location. Apex Legends uses smooth FPS visuals as a 3rd person shooter option is not available with the game. Many top streamers and pro players have stated that they do prefer the First Person Shooters compared to the 3rd person. This is another major reason why the game is soaring in popularity. Although, Fortnite has a decent movement system, Apex legends is much smoother. An Apex Legends player is mostly sprinting and sliding, and not building forts which would give away your squads location, making the game much more strategic given the Legends your teammates use. Another Respawn Entertainment also added ziplines from the get-go. As opposed to Fortnite, which took seven seasons before implementing the Zipline, Apex Legends has it from the beginning, and also included a character with a zipline ability. These additions enhances the players experience in-game and keeps them coming back. Apex Legends is the first Battle Royale game to implement “Respawns” after a player has been eliminated. When someone gets eliminated, they drop a death package with their character tag. If that character tag is picked up, it can be used at any “Respawn Zone” location to bring back the player in-game. Instead of having your teammate drop out of the match, or watch an enire match without playing, Respawn came up with this brilliant idea to keep things interesting. It does require tactical planning to recover a player’s badge and then find a Respawn Zone to bring the player back into the game. 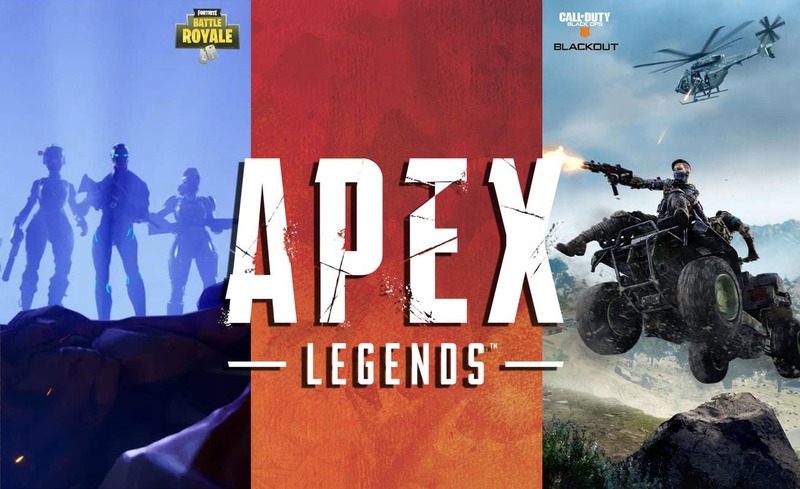 There are no vehicles in Apex Legends as there is in Fortnite BR (planes, quads, shopping carts), or Blackout (ATVs, trucks, helicopters). This helps with equal game pacing for the entirety of a match. Respawn Entertainment replaced the vehicles concept with Deployment Air Balloons as the only methods for quick relocation. The difference with the methods of travel is that vehicles can hurt players, adding another level of caution while playing. With deployment air balloons, all you need to worry about are players falling from the sky around you. As opposed to the Fortnite Battle bus where you drop solo, Apex Legends drops with squads; giving the option for non-jumpmasters to gear off track and go to their own desired location. Furthermore, an interesting “Supply Ship” appears at the start of every match where players can land on to find prestigious equipment and weapons. You don’t have to spend critical time farming mats or building cover in Apex Legends. Its fast paced whereas you collect your weapons, ammo and items, them jump right into the action without no delays. The biggest fallout with Fortnite is how pivitol the building is when fighting. A new player in Fortnite will need some time to master that skill and have a fighting chance against their opponents. In Apex Legends, it’s straight to the point; find a gun and start fighting. Having a shielding option to protect you after being knocked down is an excellent feature and a first of it’s kind. Neither Fortnite, Blackout or PUBG have this option. As well, there are different level of shields that one can use when being knocked down, adding to the dynamics of the game. It gives a fallen player a chance to survive and be revived by a teammate. Apex Legends gives players the ability to run a little bit faster by holstering their weapons while running. In Blackout and Fortnite, you run at the same pace, even when you don’t have any weapons equipped. What Respawn Entertainment did here is give players an option to run away from a sketchy situation, or perhaps beat the incoming Ring. Apex Legends does not include emotes. It’s replaced with a more practical feature called finisher moves. Emotes can throw a player of his game, leaving them vulnerable without killing anyone. But with the finisher move, you can use it to confirm a kill, while assuring your enemy does not escape.